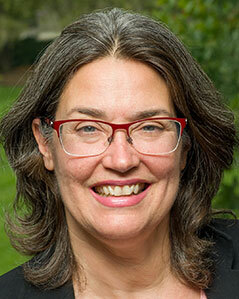 Esther Menn is the The Ralph W. and Marilyn R. Klein Professor of Old Testament/Hebrew Bible. She joined the faculty of her alma mater (M.A., 1985) in the 2001-02 academic year. 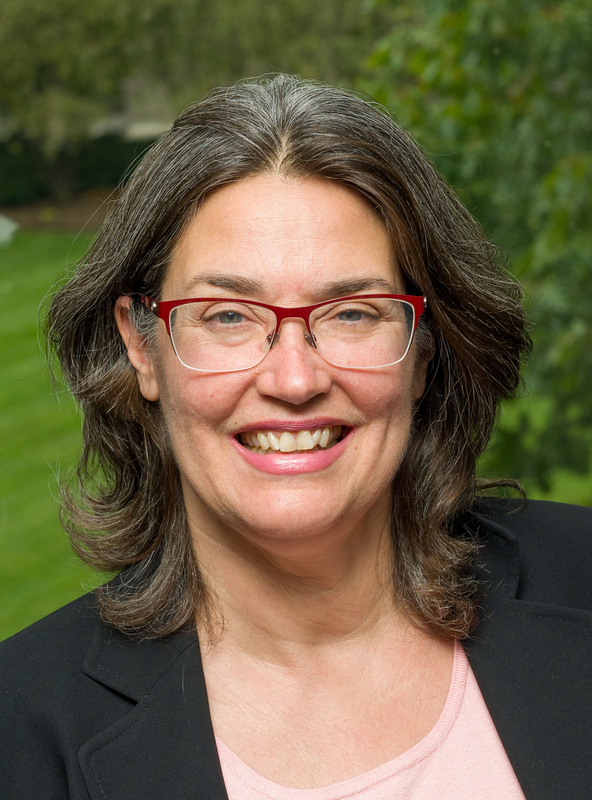 She taught previously in the department of religious studies at the University of Virginia (1995-2001), where she was promoted to associate rank and granted tenure in 2001. While at the University of Virginia, she spent a sabbatical year as a visiting scholar at Hebrew University of Jerusalem and a W.F. Albright associate fellow, supported by an American Council of Learned Societies Fellowship. She has been an adjunct faculty member at McCormick Theology Seminary (1995), a lecturer at the University of Chicago Divinity School (1994-95), and instructor at California Lutheran University, Department of Religion (1988-90). In addition to her work at LSTC, she also teaches occasional courses in Hebrew Bible at the University of Chicago Divinity School. Menn’s first book Judah and Tamar (Genesis 38) in Ancient Jewish Exegesis: Studies in Literary Form and Hermeneutics was published in 1997. She is one of four co-editors of Contesting Texts: Jews and Christians in Conversation about the Bible, a volume emerging from a 2005 Hyde Park Cluster of Theological Schools conference of the same title (Minneapolis: Fortress, 2007), and the editor of Methods for the Psalms (forthcoming, Cambridge University Press, 2009). She has contributed numerous articles to edited collections and scholarly journals including Harvard Theological Review, Journal of Jewish Studies, Journal for the Study of Judaism, and Currents in Theology and Mission. She has a long-time interest in the figure of King David in early Christian and Jewish Psalms interpretation. Menn has delivered many papers at national and regional meetings of the Society of Biblical Literature (SBL). She is chair of the Scripture in Early Judaism and Christianity section at the national level, as well as a member of the Book of Psalms section. At the Midwest regional level, she is co-chair of the Bible Meaning through Time and History section. Menn is active in Jewish-Christian relations, as a member of the Evangelical Lutheran Church in America Consultative Panel on Lutheran-Jewish Relations and of the Christian Scholars Group on Christian-Jewish Relations. In 2001, she was a delegate to the Lutheran World Federation's international consultation on anti-semitism and anti-Judaism held in Budapest, Hungary. With colleague Barbara Rossing, Menn regularly co-hosts a travel seminar, World of the Bible: Ancient Sites and Current Struggles in the Holy Land. Concurrent with her graduate work at LSTC, Menn received the master of arts degree in the history of religions from the University of Chicago Divinity School. The doctor of philosophy degree was bestowed "with distinction" by the University of Chicago, and she received the Susan Colver Rosenberger Prize for constructive and original dissertation research. Additional studies were taken at Hebrew University of Jerusalem, Kibbutz Revivim in Israel, Middlebury College, and Duke University. At LSTC Menn teaches courses in Old Testament, chairs the Bible division, and organizes events and conferences in Jewish-Christian relations. Judah and Tamar (Genesis 38) in Ancient Jewish Exegesis: Studies in Literary Form and Hermeneutics (Journal for Jewish Studies Supplement Series 51; Leiden: E. J. Brill, 1997). Atlanta: Scholars Press, 1998) 206-40. 1998. "Statement of Concern in Anticipation of the Release of the Film 'The Passion of Christ'" co-authored by ELCA Consultative Panel on Lutheran-Jewish Relations, released December 3, 2003.